Which one is bothering you? 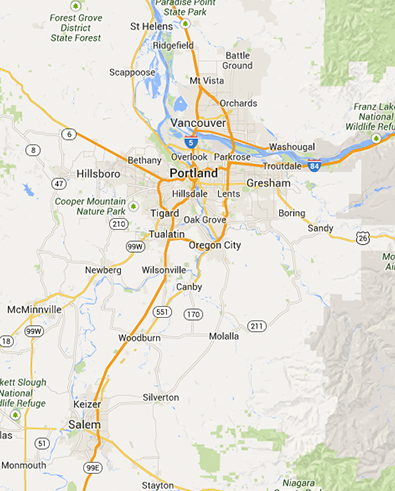 Serving the entire Portland Metro Region. We likely have a truck in your area today! 1) Family owned and operated. 2) Same day or next-day service. 3) We always call the day before your service. 5) 100% Full-service Satisfaction Guarantee. 6) Professional Technicians who treat your home as if it were their own. 7) Free advice, free inspection, free estimate. "I have used Barrier at my home for the past seven years. They are professional in every way. I recommend them to all my friends and neighbors." How long does the visit take? On average just 45 minutes to an hour. Is the service safe for my kids and pets? Yes, our service is family and pet friendly and all products are registered with the EPA. Usually the same day or the next day. Can you please call me so I know you’re coming? We always call before every visits. Do you guarantee your service? Yes, we offer a 100% satisfaction guarantee. Will you treat my home as if it were your own? Yes, we’ll earn your business with every visit. Seriously, these bugs are driving me crazy! When can you be here? Call us, we probably have a technician near you right now. Read more Frequently Asked Questions here.